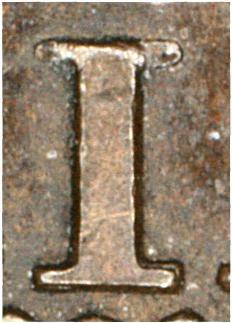 This obverse is paired with a very collectable reverse J6, that has a triple punched O in ONE. It can be a bit challanging to tell early state (without die cracks) obverse 47 and 47a apart. 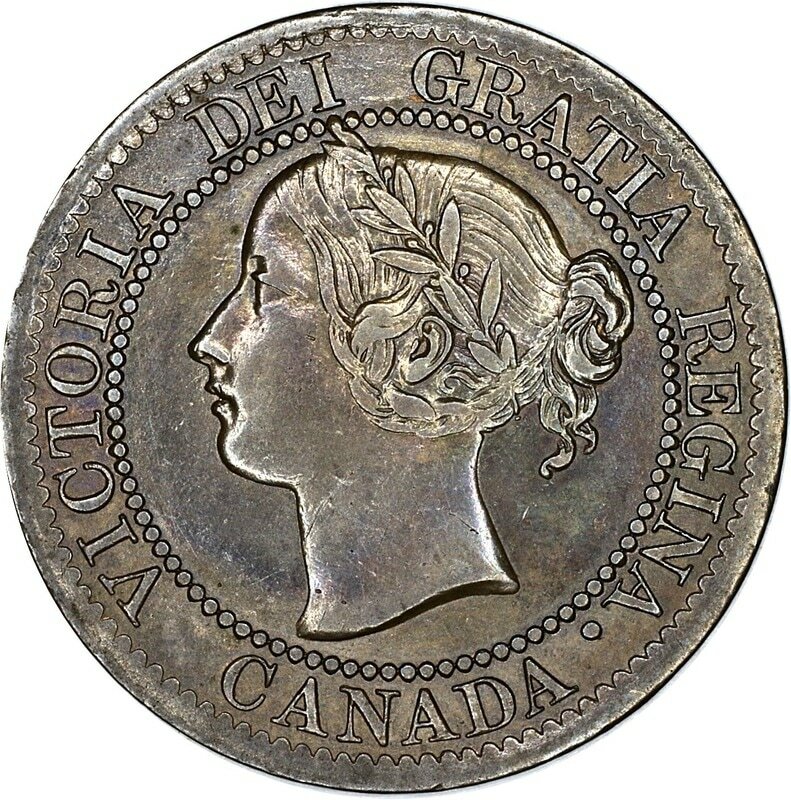 On obverse 47 the C in CANADA will have a slightly repunched serif 47a will not, though you may see a very tiny splash of a repunch on 47a. The left leg of the N in CANADA on both will be thin, however on 47a you will see a tiny notch on the bottom left corner. 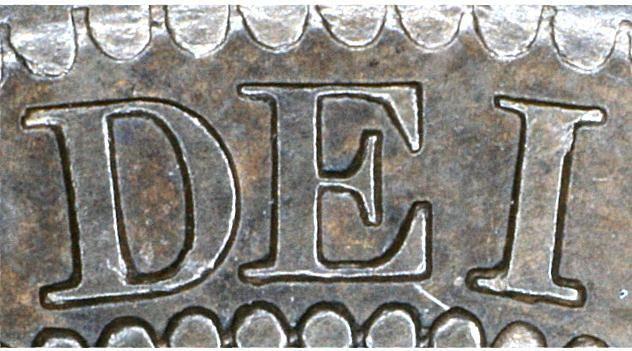 This should be obvious on even fairly worn coins. On 47 look for a tiny repunch on the G in GRATIA, you will not see this on 47a.